A little over two years ago, Richard McMillian suffered a stroke which caused permanent damage to both of his optic nerves. Today, Richard is considered to be legally blind in both eyes. Recently, after his wife stumbled across an article in a local newsletter, Richard was introduced to The IrisVision through Bob Schepfer, a distributor for IrisVision in Florida. “Sitting there, I could only see the top letter of the eye exam chart. As soon as I put the device on, I could see even the smallest letter on the chart! I saw every detail. It was amazing,” Richard said. Soon into their consultation, Bob found out that Richard is a United States Army veteran and was planning to participate in “The Honor Flight” in the next couple weeks. “The Honor Flight” is program funded through a non-profit organization called The Honor Flight Network that is dedicated to honoring America’s veterans for their service and sacrifices. Each year, they transport thousands of veterans and volunteer care-givers throughout the nation to the Washington, D.C. war memorials for a time to visit and reflect on their journey. Upon hearing about this, Bob immediately prepared a device for Richard to take with him on his trip. Soon after, on October 30th, 2018, Richard and his son flew out of West Central Florida and headed towards Washington D.C. on the Honor Flight. 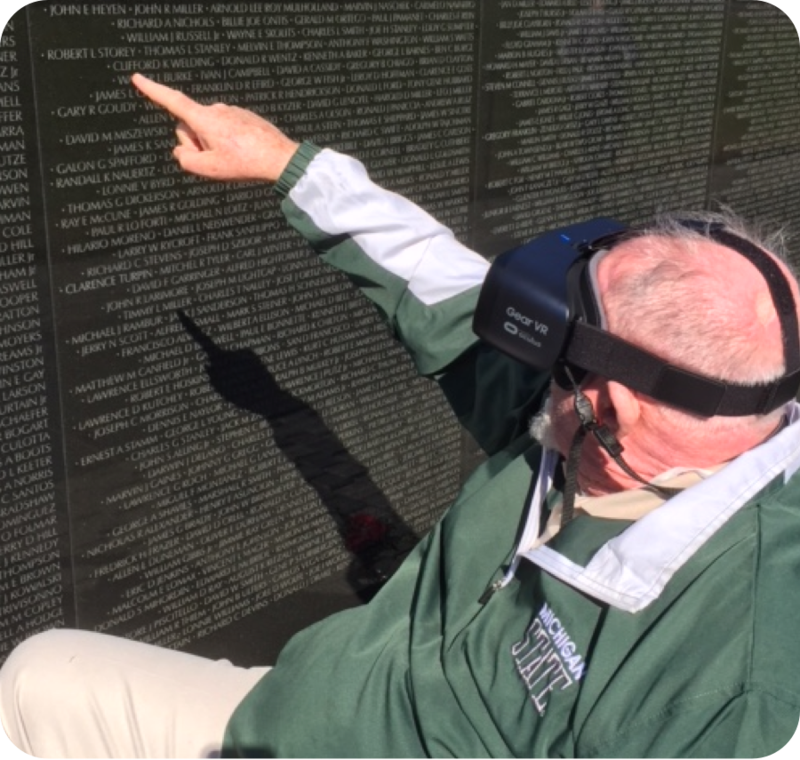 While he was there Richard was able to see the WWII, Korean, Air Force and Vietnam memorial walls along with all the other monuments they took him to visit. “It was one of the most memorable experiences of my life. I would not have been able to see any of it if I did not have the IrisVision,” Richard said.